Beautiful townhome located next to small greenbelt! Open spacious floor plan features formal living rm w/gas fireplace & desirable downstairs br w/full bath. Features include newer vinyl windows throughout, plantation shutters, tile flooring, ceiling fans & upgraded kitchen w/stainless steel appliances. Spacious master suite w/walk-in closet. Whole house fan, central air, interior laundry. Attached 2 car garage. Lots of storage & custom cabinets throughout. 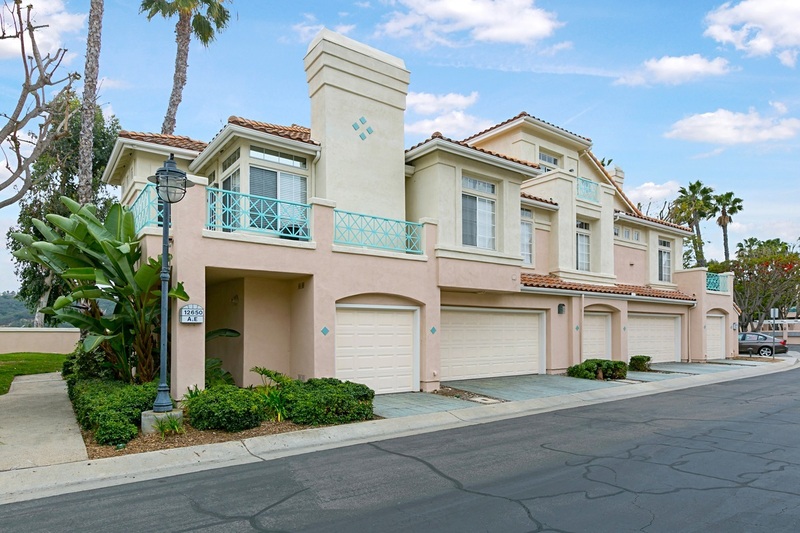 Walking distance to community pool & spa., Located in Award Winning Poway Unified School District.